some photos from one of them. I took some photos with the kids while we were out and about. I'll try to post more later. 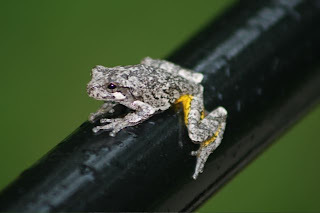 This gray tree frog was hanging out on the railing outside the front door. 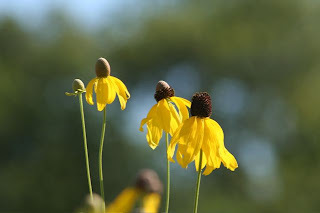 The coneflowers in the prairie are gorgeous and I could take photos of them all day long. 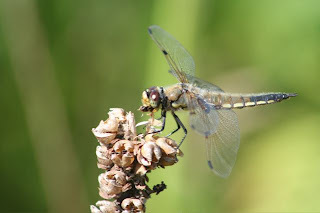 This is a fairly pale four-spotted skimmer. 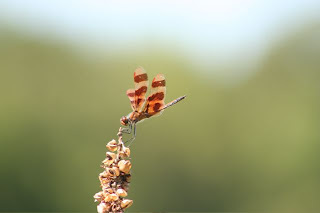 Here's a groovy shot of a Halloween Pennant dragonfly. 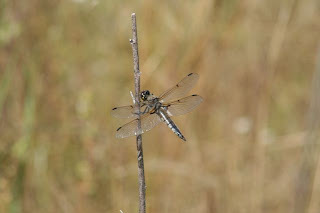 Here's a cool shot of a four-spotted skimmer eating an insect he caught. Click on it to see the larger version and check out his meal. This is a good time to point out that I love my new camera. This is a cool photo. 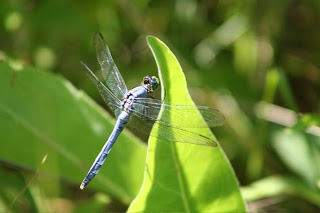 I've posted photos of female pondhawks before but I finally got a photo of a male. They look really different than the female.